The bride on her wedding day is both stylish and glamorous. 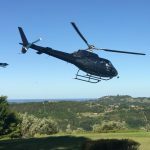 For an unforgettable entrance, arrive at your wedding venue in one of our beautiful, luxurious Eurocopter helicopters. 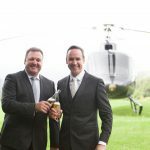 Our Immaculately presented turbine helicopters feature leather seats, air conditioning and BOSE noise cancelling head sets to ensure you arrive at your venue relaxed, comfortable and in style. 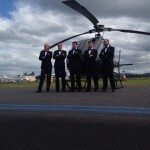 Our helicopters form a perfect backdrop for stunning wedding photography. We are happy to wait while photographs are taken to immortalise your moments. Fully customised packages are tailored for your special occasion. 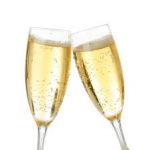 A “free no obligation” meeting can be arranged with us to show you every available option for your special day. 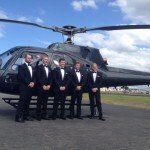 The Bride, Groom and even the whole Bridal party, can arrive in style on your big day in one of our corporate VIP helicopters. Phone us on 1300 359 222 or email us now.